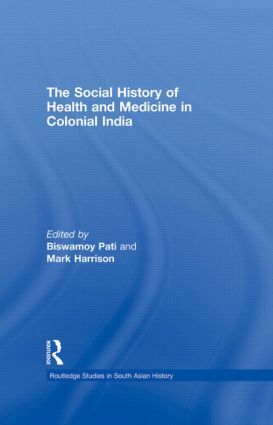 This book analyzes the diverse facets of the social history of health and medicine in colonial India. It explores a unique set of themes that capture the diversities of India, such as public health, medical institutions, mental illness and the politics and economics of colonialism. Based on inter-disciplinary research, the contributions offer valuable insight into topics that have recently received increased scholarly attention, including the use of opiates and the role of advertising in driving medical markets. The contributors, both established and emerging scholars in the field, incorporate sources ranging from palm leaf manuscripts to archival materials. This book will be of interest to scholars of history, especially the history of medicine and the history of colonialism and imperialism, sociology, social anthropology, cultural theory, and South Asian Studies, as well as to health workers and NGOs.